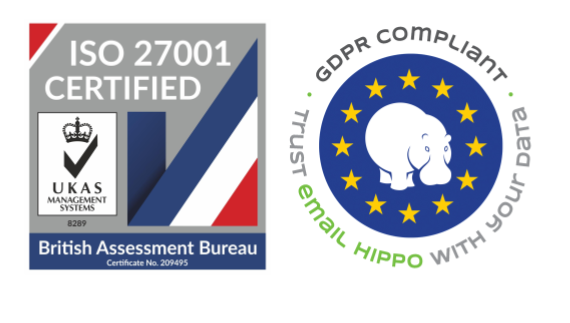 Email address verification technology from Email Hippo that connects to mailboxes and checks whether an email address exists. This tool demonstrates some of the opportunities to improve traditional email working practices with email verification technology. Who is it for? Everyone who sends email in whatever volume (from 1 to millions). Sending and email to an addresses that doesn't exist results in a "hard bounce" or Non Delivery Reports (NDR). NDRs clog up your inbox requiring manual effort to both remove the NDR and perform good list hygiene by removing the bounced email address from your mailing list. The activity of processing NDRs requires time, effort and expenditure. Failure to process NDRs can affect future email deliver-ability. By implementing our email verification technology, you can remove bad or invalid email addresses from email campaigns before hitting the "send" button. Because bad email addresses have been removed prior to send, the amount of hard bounces is dramatically reduced thereby saving time, effort and expense associated with processing NDRs. Who is it for? Online businesses. Free trial abuse - Does your business offer limited time free trials of your product or service? If so, you might have noticed new leads signing up for multiple accounts rather than engage with your paid options. Free content - If your business offers digital content (e.g. e-books) is exchange for an email address, your customer may provide a temporary, one-time burner (or disposable) email address. Fraud - If your business accepts payments online, it is liable to settle charge-backs due to fraudulent transactions. When a customer is engaged in using stolen payment details to buy from your business, the customer is unlikely to provide an email address that can be traced or held accountable. 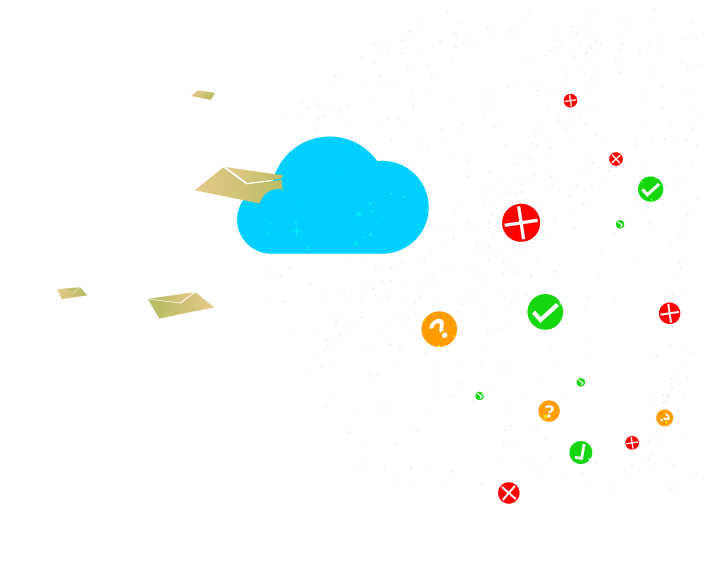 “Bad data” in your CRM - Bad (undeliverable) or junk (disposable/temporary/burner) email addresses in your back end systems need managing, pruning and updating at some point. This maintenance activity takes resource away from what your business would rather be doing to grow. Our email verification API uses up to 74 data points to determine the quality of your new potential client in real time based on just an email address. If your business has problems with prospects signing up with burner/temporary/disposable email addresses, you will be pleased to hear that our systems offer some of the most comprehensive detection of disposable email providers available anywhere. Unlike other providers that use simple static lists of burner email providers, our systems go further and use advanced machine learning algorithms to track the more elusive disposable address providers. We do an assessment of the email address and return a simple, easy to use quality score that you can then use to decide what to do with your new potential customer as in (for example); accept, review, reject. For customers with more sophisticated needs, our API also returns extensive detail on what data it's referencing whilst performing the quality assessment. Check if an email address or a domain is a Disposable Email Address (DEA). Check out our new domain age checker. Ever wonder how old a domain is? Find out now. Pinging an email box is a way to see if an email address is valid or not. Learn how it's done. Simply, quickly and effectively use jQuery to validate and verify email addresses. Stop bad email addresses before they get into your system. Learn how today. Get accurate results quickly and analyse 74 data-points about every email address you check. Use MORE to add value to your data and enhance your business performance.